Sleek, contemporary styling best describes this men's oxford by Aetrex. The Aetrex Men’s Stitch Toe Lace Up Black oxford shoe dresses you up with sleek style and a customized fit. The soft, hand-burnished, full-grain leather upper is accented with perforated side panels. 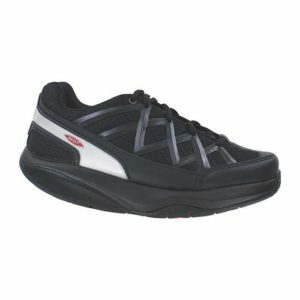 The moisture-transferring leather and polyester fabric lining offers maximum comfort and breathability. This oxford offers a blend of comfort, style and customization to suit your footwear needs, wherever you go. Finish off your favorite looks with this Aetrex oxford. Built with Aetrex’s Mosaic Technology which helps with relieving pressure from the sensitive areas of your feet.